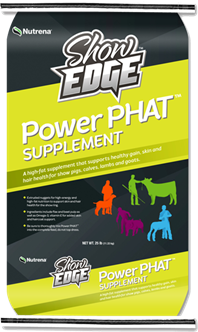 A supplement used in growing and finishing show pigs, calves, lambs and goats. 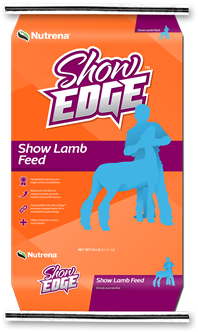 Supports healthy body condition when feed intake is limited. High fiber roughage supports gut fill. 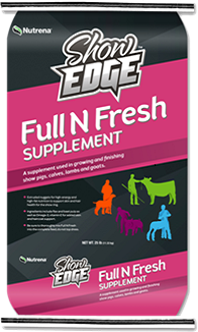 Be sure to thoroughly mix Full N Fresh supplement into the complete feed, do not top dress. 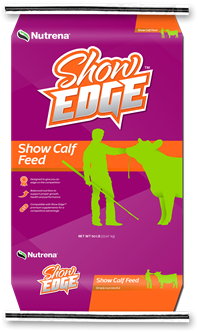 Feed Show Edge Full N Fresh supplement 2-3 times per day, with a complete feed, 15-30 days prior to show. Provide plenty of clean, fresh water at all times. 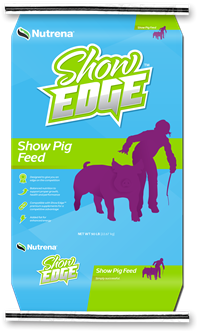 Swine: Feed 1/2 to 2 lbs per head per day. 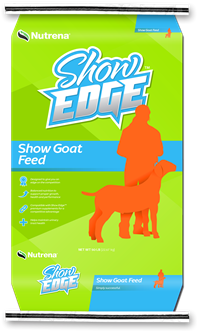 Sheep and Goats: Feed 1/4 to 1 lbs per head per day. Beef Cattle: Feed 2 to 5 lbs per head per day.